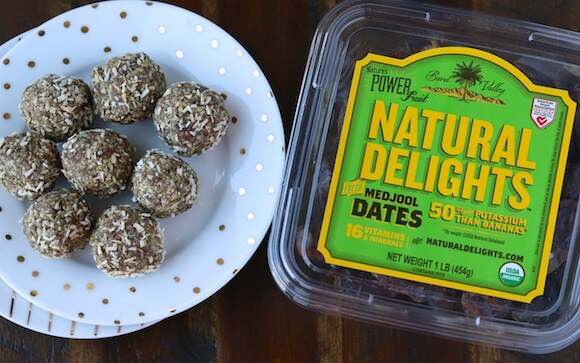 When life gets busy, I love a quick and easy treat like these Date-Hemp Energy Balls. Make these quickly and store them in your fridge to snack on all week! With the natural sweetness from dates and no refined sugar, this is a healthy recipe for active kids and adults. For most of the desserts in my kitchen, I use dates as my sweetener (see all my dessert recipes from over the years here). Medjool dates are so plump and moist, and have the added benefit of being chock full of minerals and fiber. I combined whole dates with hemp and pumpkin seeds in this recipe, plus carob, vanilla, coconut flour, and coconut oil. I rolled the Hemp-Date Balls in some toasted coconut at the end to make ’em pretty. That’s it, no added sugar necessary. You will need a food processor (I like this one), but then you just use your hands to make the balls. A tablespoon of coconut oil helps to bind the ingredients. You end up with a flakey, chewy, and oh-so-satisfying treat for your next coffee or tea break, depending on how much energy you actually want, ha. 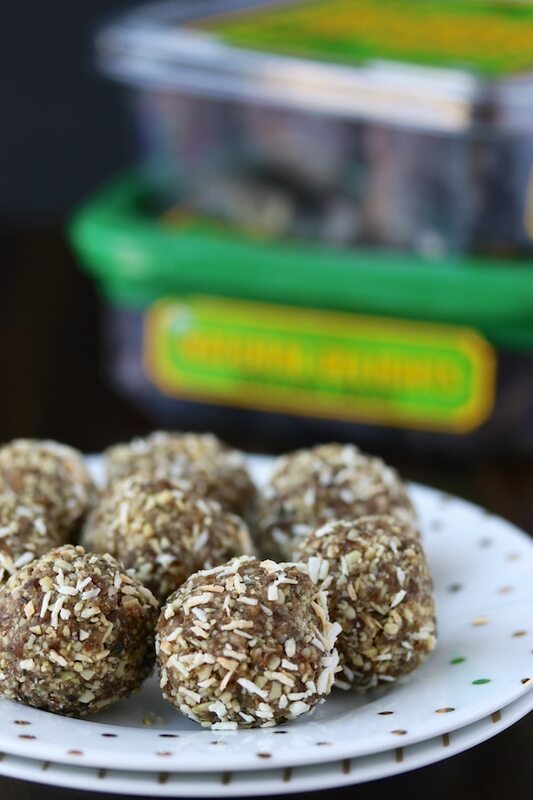 A delicious and satisfying healthy treat, these Date-Hemp Energy Balls are super easy and great for kids. Combine the pumpkin seeds, hemp seeds, pitted dates, coconut flour, carob or cocoa powder, coconut oil, and vanilla extract in the bowl of a food processor. Be sure to pin this Date-Hemp Energy Bite recipe to your favorite Pinterest board! 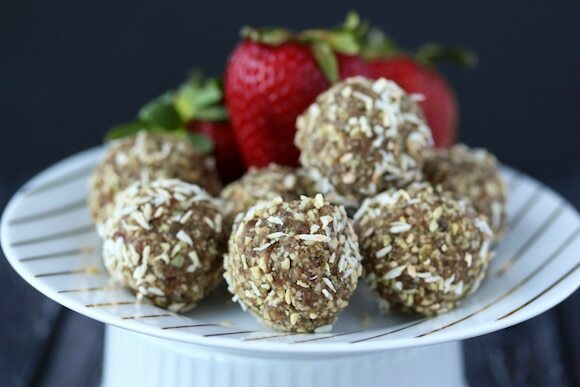 I am such a fan of making these easy no-bake bites. 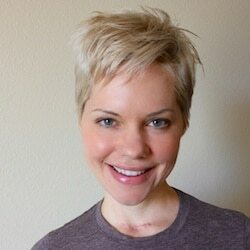 I’m working on an e-book with all my fav recipes. Be sure to join my weekly newsletter list so you don’t miss a recipe or the e-book when it’s ready. These look great, I struggle with quick pre-made snack ideas! Thank you! I agree! Sometimes the simplest recipes taste the best. Thanks Allison! XO. I love little snack bites like this for my school aged girls’ morning snacktime – thanks for the great flavor idea! Yay for energy balls! LOVE LOVE LOVE them. And I’m excited to add this flavor/recipe to my repertoire. I LOVE Medjool dates so much and love that they’re packed into these. I bet they’re so delicious! So much goodness that you were able to pack into these little bites. These look great, and packed with so much goodness! Great snack idea! I always love having quick and healthy snacks ready to go, and that extra protein from the hemp makes these even better! Ha ha, same here, Stacey! TGIF!!! 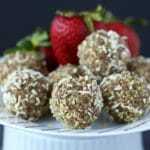 I love energy balls, especially homemade ones like these. They are perfect for before and after workout or use as snacks between meals. Love it. Thank you ! These look awesome!! 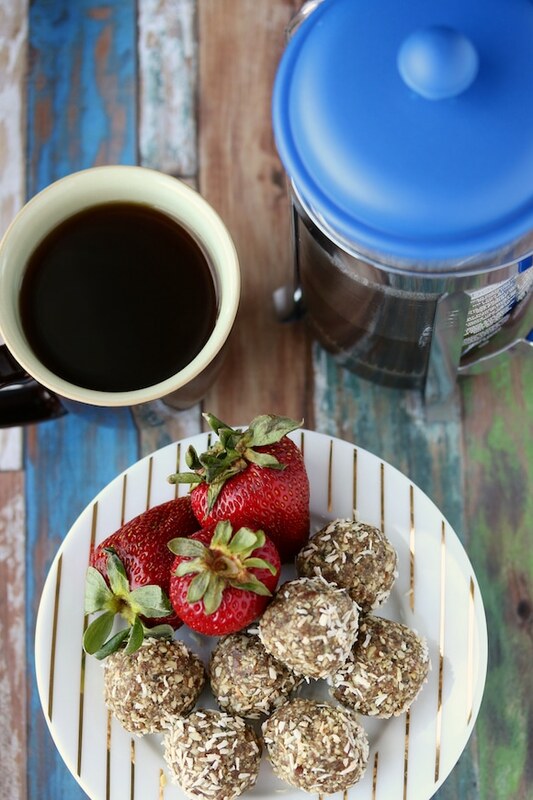 I need to make these energy balls tomorrow for my boys (and myself!). Thanks, Anya! LMK how you like them! These look like the perfect snack! I love that they’re sweetened with dates- I absolutely love dates. Talk about the perfect pre workout! Yum! Thanks, Kimmy! I was thinking about you last night and wondering how the new job is working out. I’m looking forward to catching up in a few weeks. XOXO!!! These are too cute and packed with so much goodness! I love the addition of hemp seeds! Perfect for lunch for the kiddos!